"When you go to his deli, you see the food made with a lot of love and care. The place is funky and it's different; he doesn't run a regular lunch spot. Each and every sandwich, all the food, is made with the utmost attention to the ingredients, the flavours and the textures. He's a chef after my own heart." 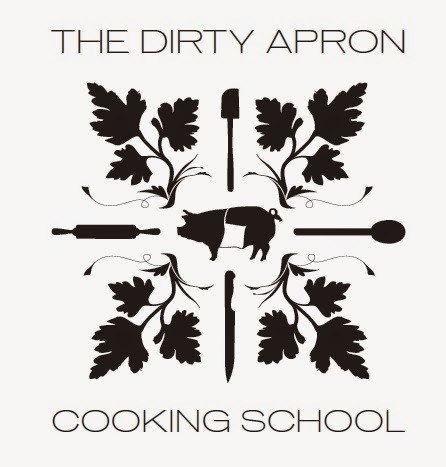 The school The Dirty Apron teaches students the basics of preparing a delicious mutil-course meal. 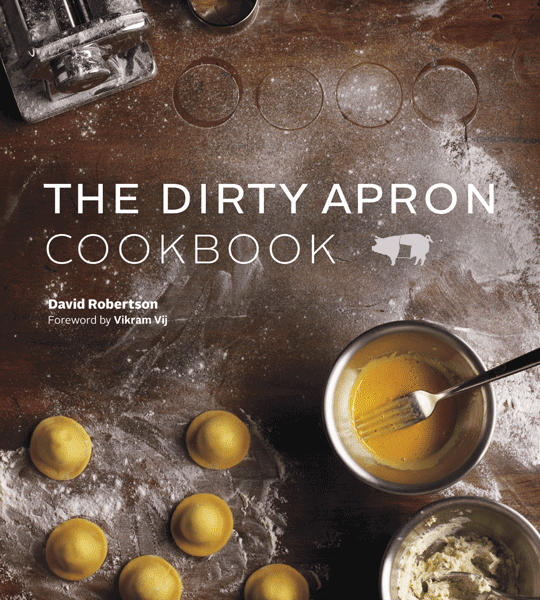 The cookbook also takes on the school's famous name - The Dirty Apron - and includes some of the most popular recipes that have come out of the school, in addition to a few recipes from their deli and catering menus. The recipes are flavourful and easy to make, and they illustrate basic cooking techniques and flavour combinations you can use in your own meals at home. Build the perfect Goat Cheese Salad, or whip up their signature Porcini Mushroom and Chestnut Soup. You won't be disappointed. There are tricks and techniques that Chef David Robertson teaches along the way. For example, the chef's go-to salts are fleur de sel, Maldon and kosher. The cookbook contains a section on how to buy fish, and includes a seafood chart. Chef David Robertson also lets us in on a little secret. The Chef believes the most expensive cuts of meats, such as the tenderloin, aren't necessarily the tastiest. That's why it's in every cook's best interest to learn how to work with secondary cuts such as flank steak, short ribs, pork belly and shanks. Also another tip: don't ignore the juices that accumulate at the bottom of the pan. Drizzle it on you creations. Published by Figure 1 Publishing Inc., and distributed in Canada by Raincoast Books.